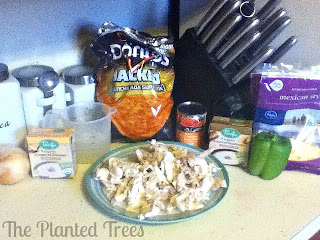 Today I’m sharing a family recipe that’s been around for a while. 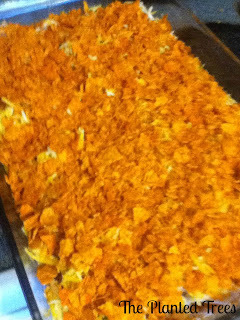 My great aunt used to make this for every Thanksgiving, Christmas, and New Year’s. Don’t ask me why this dish went with all of those foods, but it did. 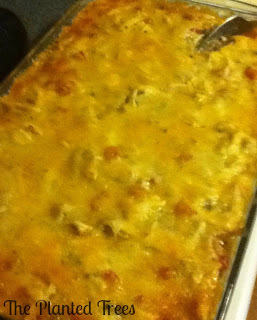 It’s so good and might seem a little out of place when lined up next to turkey and ham at holiday dinners, but if Mexican Chicken Casserole wasn’t there it just didn’t seem right. To this day it has a standing invitation at these holidays. First, cook chicken. You can do this a couple of ways: roast it, boil it, or slow cook it. 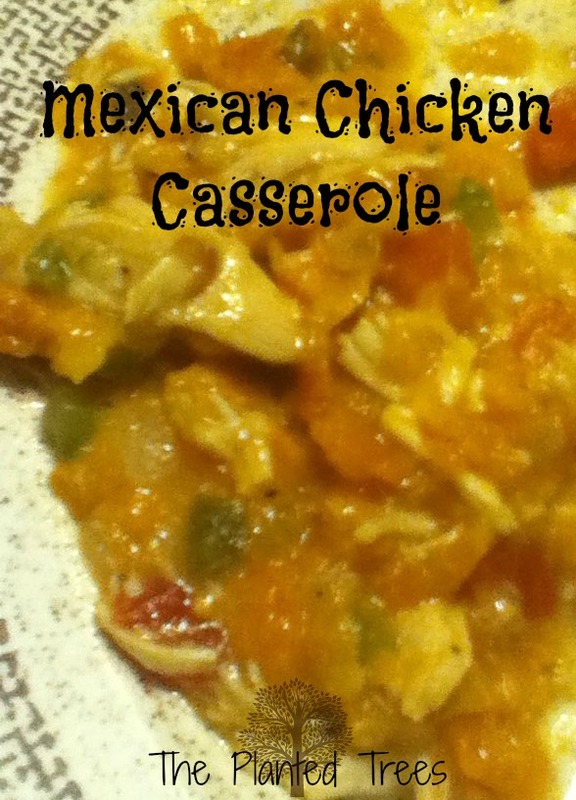 I slow cooked mine in the crock pot all day. Reserve 1 ½ cups of the broth. Next, sauté onion and bell pepper until tender. Mix soups, Ro-Tel, chicken broth, chicken, onions and peppers. Spray bottom of a 13 x 9 inch casserole dish. 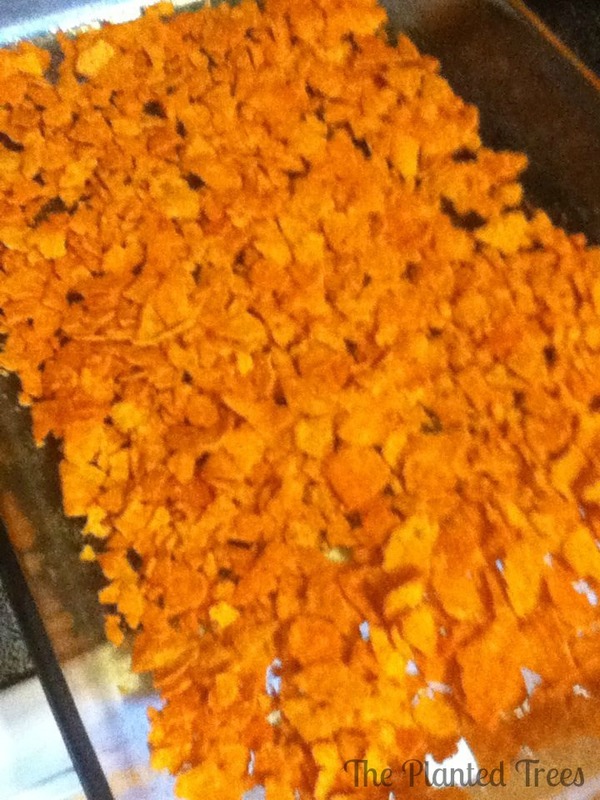 Crumble up about half of the chips and cover bottom of the dish. 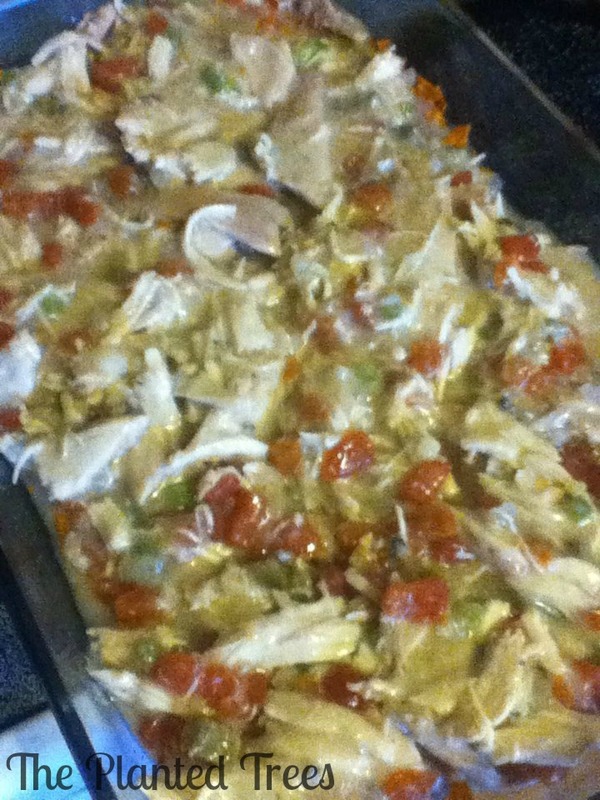 Place half of chicken mixture on top. 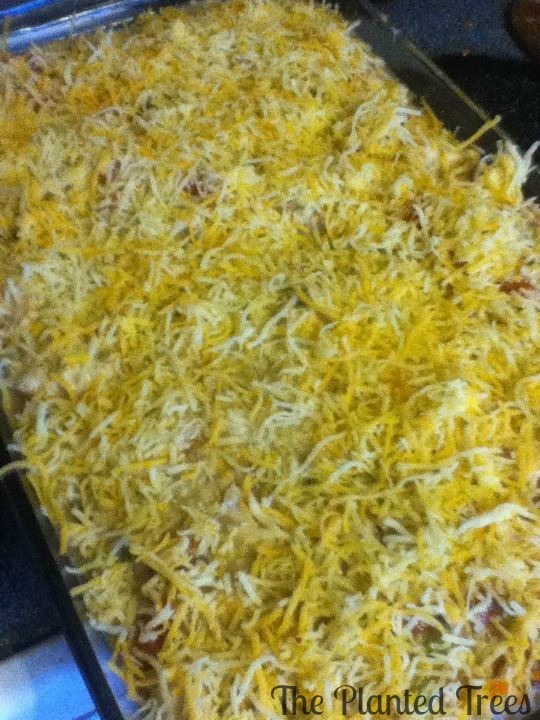 Crumble up the last half of the chips and sprinkle on top of cheese. 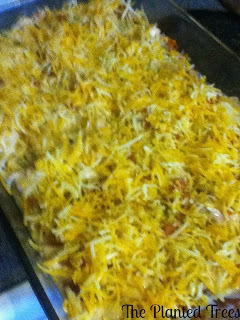 Layer the rest of the chicken mixture and the cheese. While my great aunt passed away a few years ago, this dish always makes me think of her. It’s so delicious that I don’t save it just for the holidays, but we eat it throughout the year. Cook chicken. Reserve 1 ½ cups of the broth. 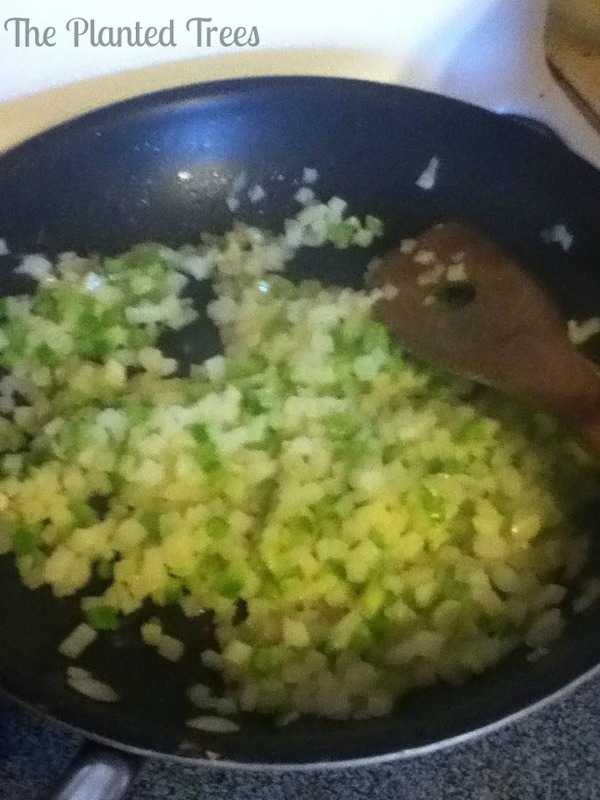 Sauté onion and bell pepper until tender. 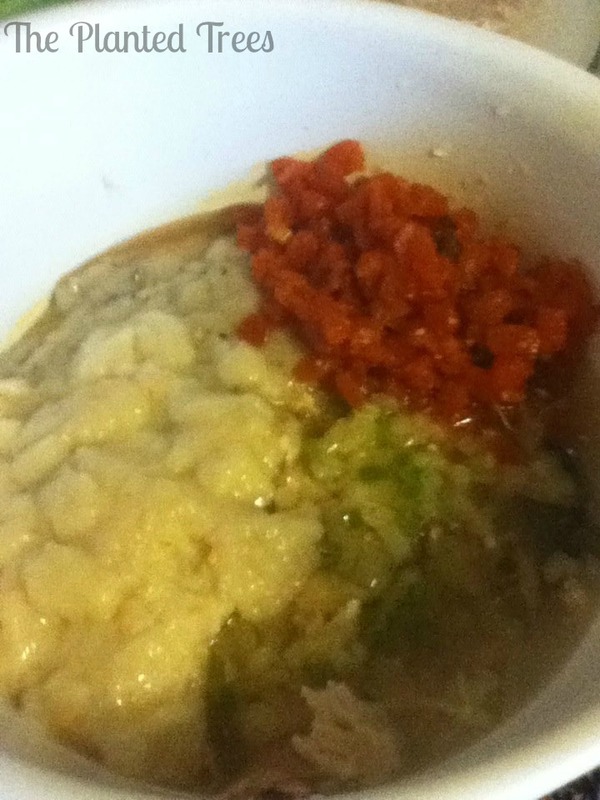 Mix soups, Ro-Tel, chicken broth, chicken, onions and peppers. Spray bottom of a 13 x 9 inch casserole dish. Crumble up about half of the chips to cover the bottom of the dish. Place half of chicken mixture on top. 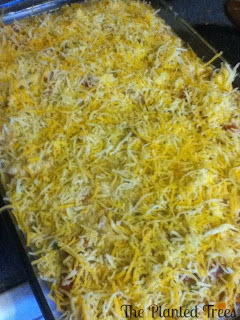 Sprinkle with half of the cheese. Crumble up the last half of the chips and sprinkle on top of cheese. Layer the rest of the chicken mixture and the cheese. Bake in a 350 degree oven for 30 minutes. I'm so glad! It's even better over the next couple of days after it's set in the fridge for a while.